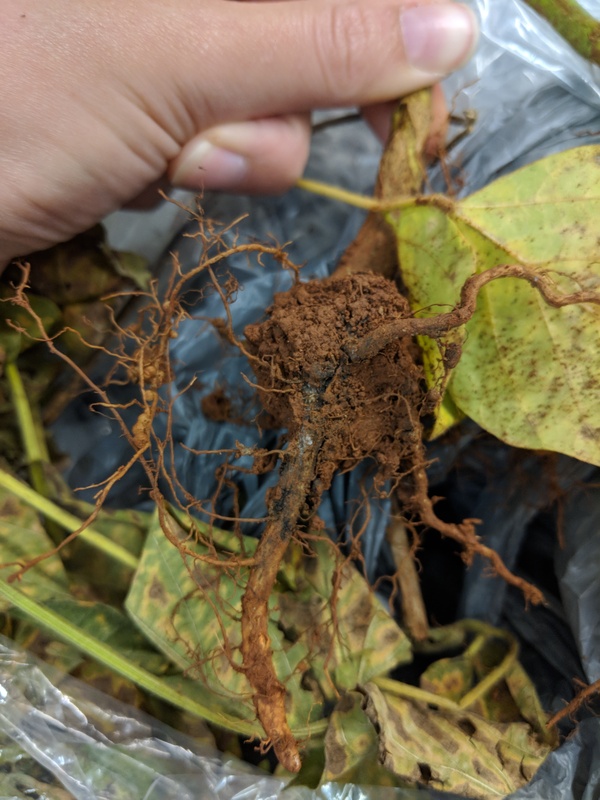 Soybeans submitted through the Plant Disease and Insect Clinic have been confirmed to have the causal agent of Sudden Death Syndrome (SDS), Fusarium virguliforme (syn. Fusarium solani f. sp. glycines). 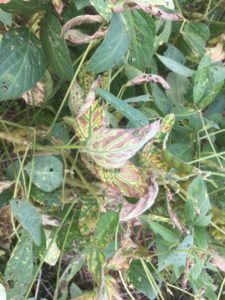 This disease is not annually a problem in the region, but recent wet weather is likely influencing its presence. Disease symptoms are most prevalent after flowering. Symptoms of SDS include interveinal chlorosis and necrosis, and, when stems are split, vascular tissue will appear tan to light brown. These symptoms are similar to those caused by Fusarium wilt, caused by Fusarium oxysporum, which is often seen in NC when plants are damaged or have root knot nematode infections. Unlike Fusarium wilt, SDS produces blue fungal mats that may be seen on the root tissues. SDS can also be easily confused with symptoms caused by stem canker or brown stem rot. 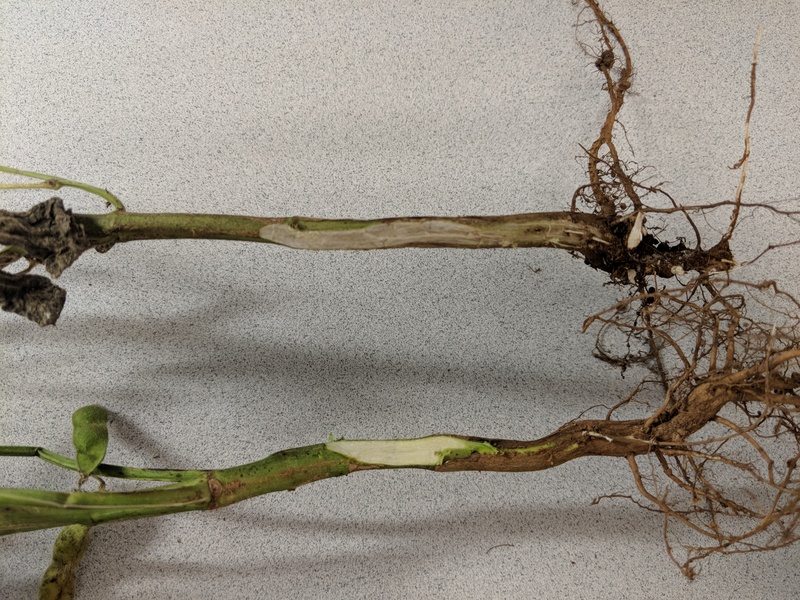 Stem canker and brown stem rot will produce noticeable cankers on the outside of the stem tissue and produce significant discoloration of the vascular tissue. Management options for SDS are limited. Foliar fungicide applications will have no impact on SDS suppression. Improving soil drainage where possible can reduce incidence. Soil compaction can also cause damage to soybean roots, which increases SDS incidence. There is an association with Soybean Cyst Nematode (SCN) and SDS. Managing nematode populations through good crop rotations can limit SDS damages; however, just a 2-year rotation may not be sufficient to reduce incidence from SDS. While there are no highly resistant cultivars available, cultivars with some degree of resistance to SDS should be used where possible. Should you be concerned about SDS in your soybean fields and have further questions, contact your local Cooperative Extension Agent.